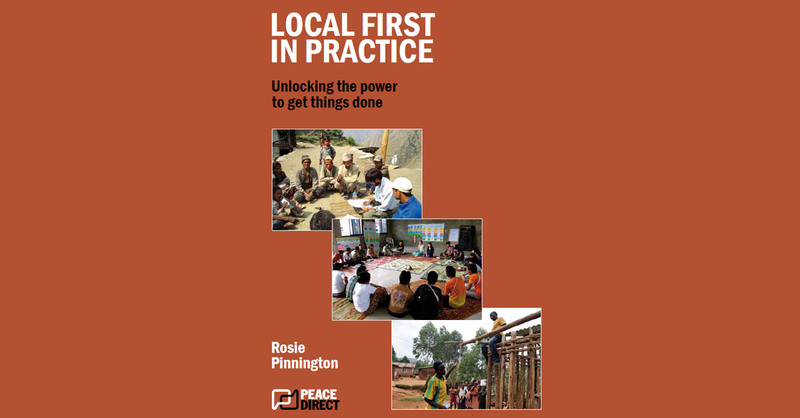 We are delighted to announce the publication of our latest book, ‘Local First in Practice: unlocking the power to get things done’, which showcases successful examples of locally led development projects worldwide. The book is the result of almost a year’s research funded by the Swedish government. This allowed the Local First initiative to research good practice examples and develop guidance to help international aid organizations and practitioners operate in a more ‘locally led’ way. Looking across the development, peacebuilding and humanitarian sectors, the book shows organisations such as ActionAid and the UK Department for International Development (DFID) doing things differently – using approaches that identify and support existing capabilities and resources, rather than solely providing external expertise and aid money. It includes examples of localised funding mechanisms that are designed to enable rather than distort local capacity. The Civil Society Support Programme (CSSP), for example, uses intermediary and decentralized structures to pool funding from several donors in the support of hard-to-reach civil society in Ethiopia. Other examples show donors and international organisations allowing their partners to design and shape peacebuilding and development strategies according to local contexts. For instance, the DANIDA Peace Security and Development Programme in Mombasa gave their civil society partners one year to reshape an initiative designed by the Danish Government to combat terrorism. It recognized that the best way to address its global security interests was to be led by locally felt concerns, and design programmes based on existing resources such as local networks and knowledge. 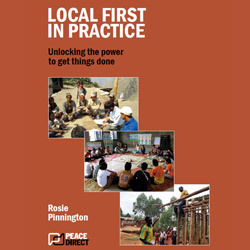 The book also highlights the importance of participatory methodologies that are geared towards not only listening to those on the receiving end of aid, but also ensuring that feedback received is firmly linked to learning and action, and adjustment in the policy and practice international development practitioners. This week, the Local First team travelled to Stockholm to present the findings of this project to the Swedish Ministry of Foreign Affairs, their SIDA colleagues and a number of INGOs, including those whose models featured in the guidance like the Red Cross and the Life and Peace Institute. As one participant at the meeting in Stockholm said: “We have been putting our feet where we’re not supposed to for a long time now.” Despite the fact that there seems to be real momentum to work differently from within the aid sector, there remain significant challenges for working in a locally led way. One of the biggest problems is the pressure to spend quickly and see quick results. This is connected to increasingly stringent reporting requirements, driven by the ‘value-for-money’ culture in many of the current aid bureaucracies. Perhaps what we need, as one participant at our meeting today suggested, is longer, slower aid: rather like slow food vs fast food, slow aid could focus on quality over speed and quantity.